Would you want to recycle unwanted belongings in Roswell, Georgia while helping patients who are battling kidney disease? 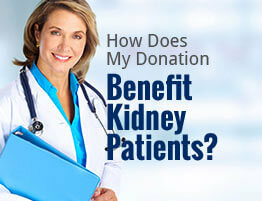 If so, you’ll want to donate to American Kidney Services. That’s because when you donate to our charity, you’re not only engaging in an environmentally-friendly practice while clearing your home of clutter, you’re also providing financial aid to individuals with renal disease. Once you’ve decided which of the items above you’d like to donate, you can fill out our online form to have one of our collection vehicles pick up your items from your driveway. We’ll inform you of which day our collection vehicles will be in your neighborhood. After that, all we ask is that you put your donations in a bag or box labeled “AKS” and leave them by your curb on your collection day. You can also choose to leave your items in any of our drop boxes around town or at a local Value Village thrift store. If you’d like to learn more about how easy it is to recycle unwanted belongings by donating them to American Kidney Services in Roswell, GA, contact us today.